Open 9 am to 4 pm daily and open through Thanksgiving! 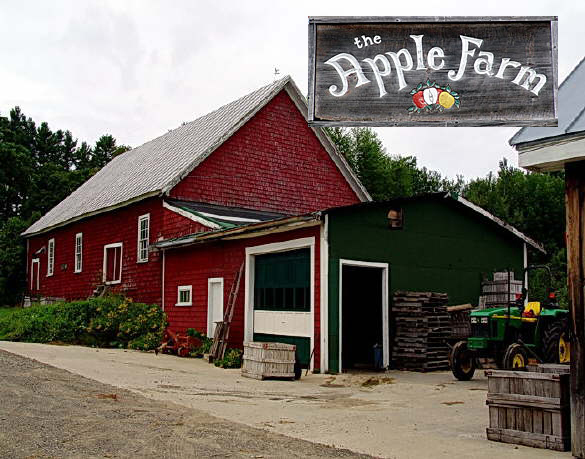 Welcome to The Apple Farm in Fairfield, Maine. 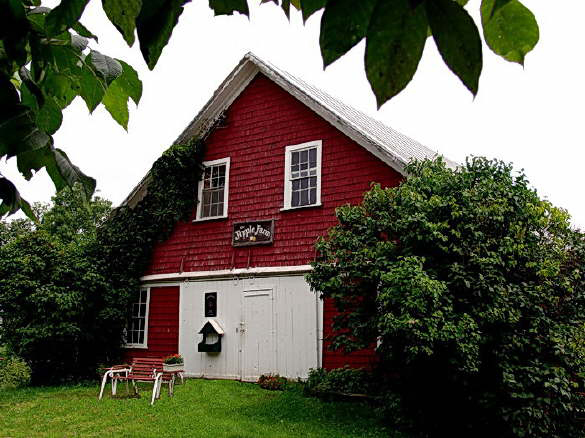 The farm belonged to the Coffin Family when Maine was part of Massachusetts. It was then sold to the Wentworth Family who planted the first orchards. The current owners, Steven and Marilyn Meyerhans, purchased the farm in 1973 from Royal and Irene Wentworth. 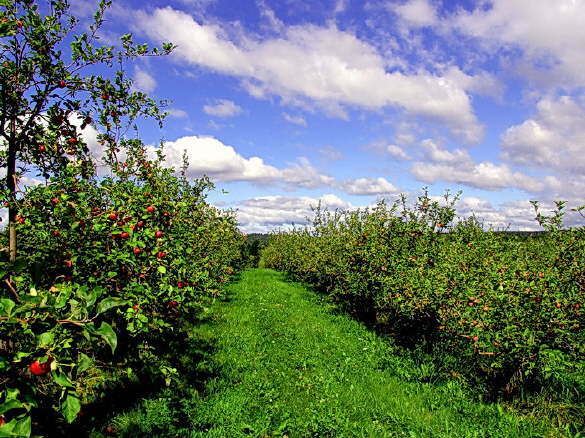 The soils and climate of our central Maine location are unsurpassed for producing crisp, hard and brightly colored McIntosh. While we can offer the very best of many delicious, newly developed apple varieties, we specialize in the wonderful old-time varieties that are indigenous to our area: Macs, Northern Spy, Golden Russet, Pearmain, Winter Banana, and others. Our fresh pressed apple cider is made from a blend of those old-time varieties and is famous for miles around for its rich, smooth, golden goodness. We welcome you to visit our farm and its picturesque barn store, where in addition to all our apple products, you will find home-made jams and jellies of every description, pure natural local honey, maple syrup, scrumptious, local vegetables and loads of country charm. 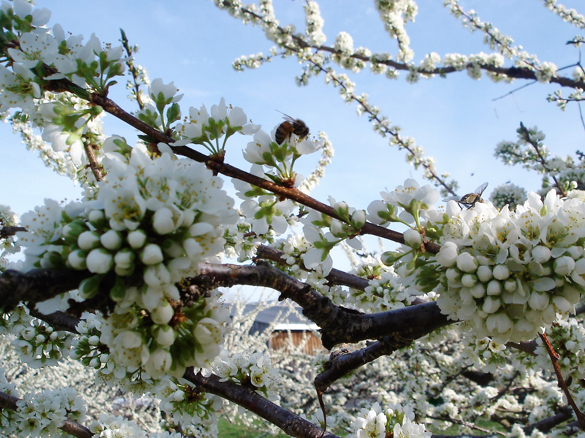 We also invite you to stroll through the orchards, perhaps pick a peck or two of your own apples in season, or watch cider being pressed. Bring a picnic. It’s a great family outing. 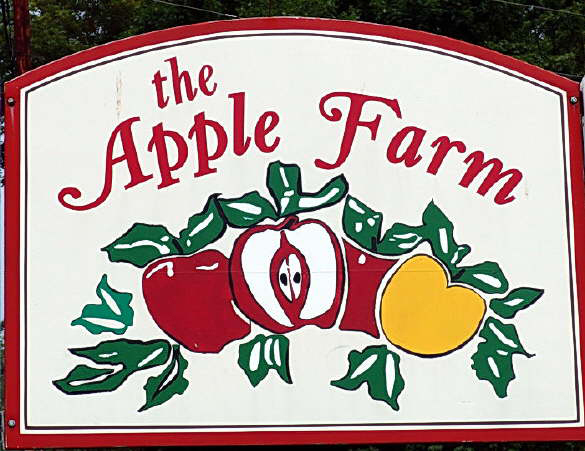 The Apple Farm is open from August to December and is located on the Back Rd. (1 mile off Route 104 between Waterville and Skowhegan). The mission is to grow the best food possible in the least environmentally disruptive way while providing for us and our employees living wages and decent working conditions. We are committed to preserving agricultural land for today’s and tomorrow’s needs. We are also committed to preserving open space and public access to the land. We feel that the need for good food can and should be met locally as much as possible and we strive to meet that need. We offer educational tours of our facility throughout the year, scheduled by appointment. Open for the 2018 season! 9am to 4pm Thank you for your Support!